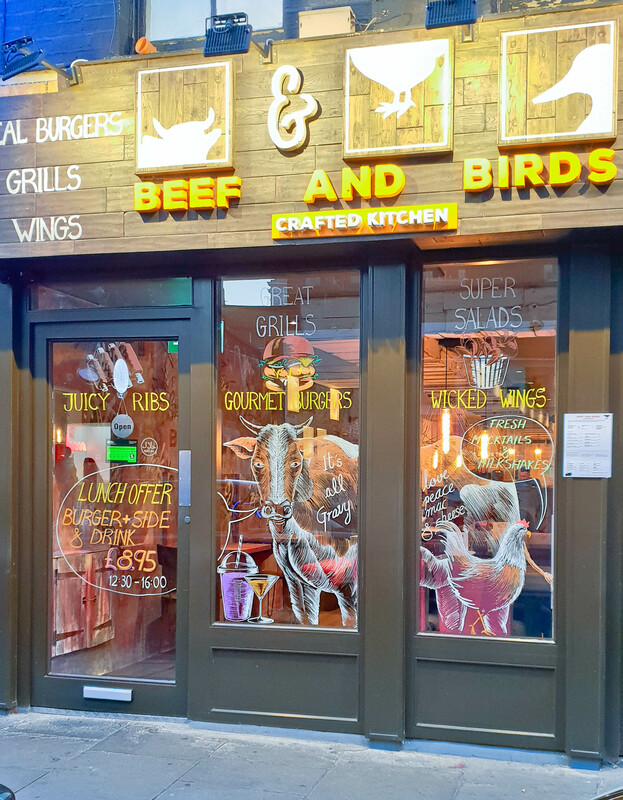 I visited Beef and Birds recently to check out their food and see what that had to offer. Its been open for about 7 months, I was going to visit it then, but felt that all I was eating at the time was burgers, but it’s been a while since I’ve had a burger so I thought I’d pay a visit. Located in the curry capital of town Brick Lane, not where you would expect to find a burger joint. 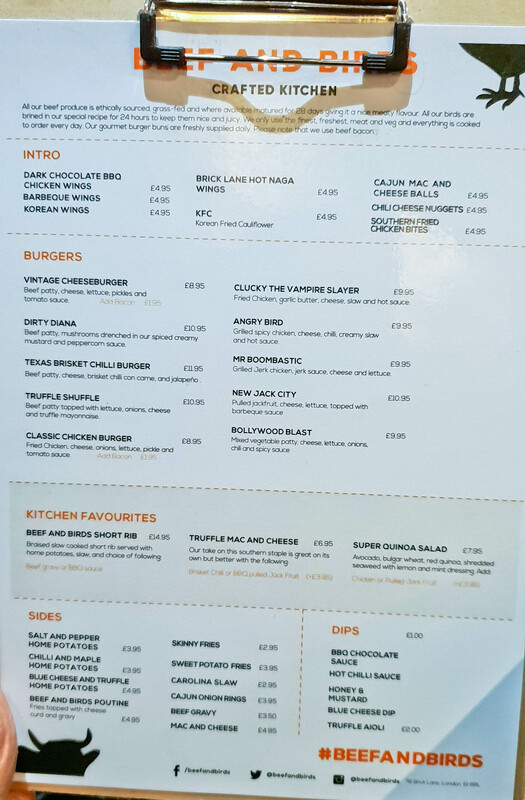 The food on the menu is focused around beef and chicken burgers. Beef used in the burgers is 28 day dry aged. I tried a few different items like the chicken wings, which included the chocolate BBQ wings, Cauliflower wings and the cheese balls, nothing here was worth even taking a picture of! Didn’t really like the starters. I tried a lot of items on the menu, pictured is the Vintage Cheese Burger (£8.95). Now if you have never had a BigMac before this is what it tastes like. When I took my first bite it took me back to eating Big Macs (halal of course) so I liked this burger, simple in flavours, but tasted good. I’ll give it an 8/10. My friend tried the chicken burger, he gave it a 6.5/10. I didn’t try it. I also tried a few other items like the Beef Short Ribs. Although the meat was tender, it lacked depth and body in flavour, the taste got boring very quickly, its best to share this dish. The burger I had was nice, it was the closest thing to a Big Mac you can get in London for sure, taste wise. 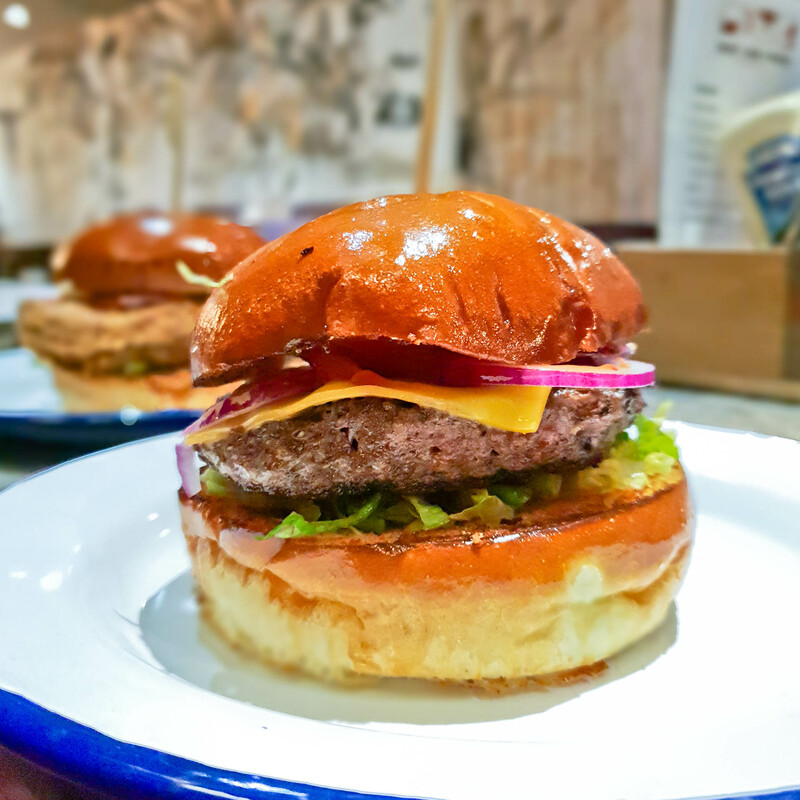 There is still room for improvement on other dishes, but its a place that’s worth a shout for a burger if are in the area. 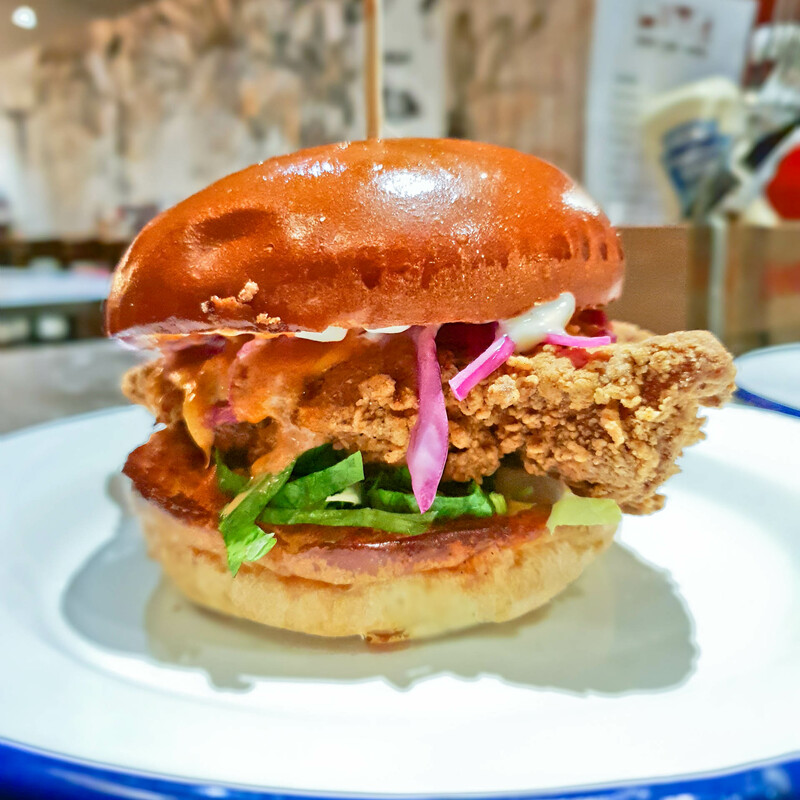 There are decent options here, but it’s not the best in terms of the London halal burger scene if you are in the area then its worth a try, for the beef, if you want a chicken burger I’d head to Mother Clucker which is nearby. GET 15% OFF THE BILL. If you mention Halal Food Guy Discount when you book. Valid anytime for up to 16 people. You can also get the discount if you walk in and mention before you order. Hey Buddy!, I found this information for you: "Beef and Birds". Here is the website link: http://halalfoodguy.co.uk/beef-and-birds/. Thank you.